Are Single-Blade Razors Better than Multiple-Blade Razors? In recent years, the trend has been for razor manufacturers to pack ever-greater numbers of blades into their razors. But if you are looking for a comfortable shave that helps reduce the risk of your face getting full with razor bumps, you might want to consider using fewer blades. Using a single-blade razor, in combination with a high-quality pre-shave oil and after-shave lotion, can be the best way to help reduce razor bumps and improve your shave overall. Are Multi-Blade Razors for You? As some shaving advertisements tell you, for every stroke you take with a multi-blade razor, the blades can pass over your skin several times. The first blade that passes pulls the hair up, and the second and third blades cut through the hair. The problem is that the blades can end up cutting the hair beneath the skin. While this is one way to get a close shave, it also can increase the risk of the hair getting caught beneath the skin and becoming ingrown, particularly for men with curly hair. The irritated hair follicles around the ingrown hairs can swell up to form angry red razor bumps. Many men who suffer from razor bumps take days off shaving to give their skin chance to recover. While this is necessary to allow the razor bumps to heal, it also means that the beard is longer the next time you come to shave. This increases the risk of tugging at the hair, which leads to even more irritation of the hair follicles. 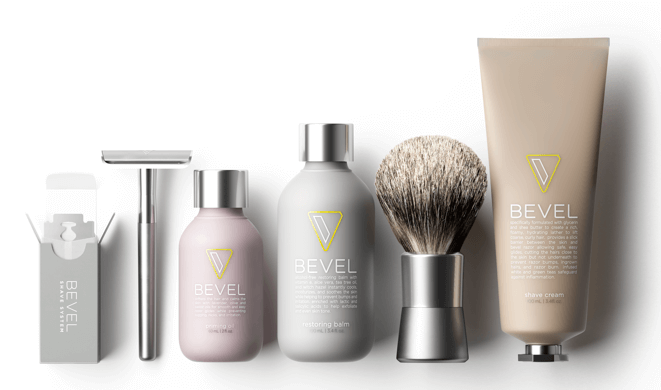 Are Single-Blade Razors for You? In contrast to some multi-blade cartridges, a double-edge safety razor moves across the skin at a gentler angle, cutting cleanly through the beard hairs without pulling. The chance of ingrown hairs is reduced and the skin experiences less irritation overall. You don’t need a razor that cuts off your hairs under the skin to get a clean-shaven look. The single blade can cut through the hair close to the skin, leaving hairs imperceptibly short while helping reduce the risk of ingrown hairs. Add to this the increased skin comfort that you can experience with a single blade, and you’ll soon realize that you got a very good deal indeed. Recently, a larger number of men are using single-blade razors in lieu of multi-blade razor cartridges. 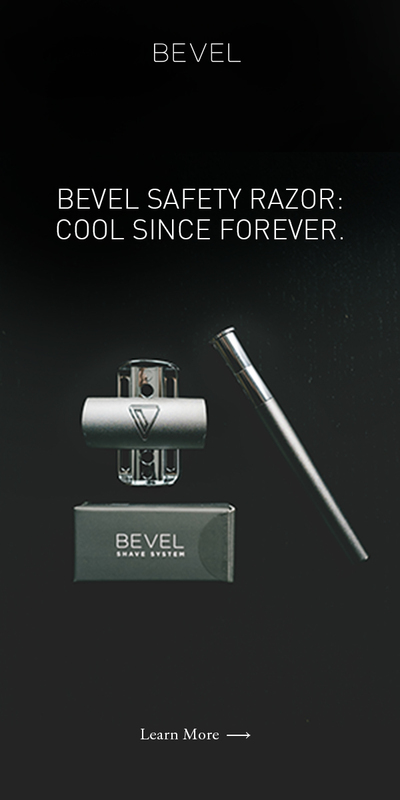 Once you have mastered the technique of shaving with a double-edge safety razor, you will find that the Bevel shave system can be very effective at helping reduce razor bumps and irritation over time. Before shaving, you should always wet the face with warm water to open up the pores. Next, apply a pre-shave oil to soften the beard and lubricate the skin. Work up a generous lather using a high-quality shaving cream and a shaving brush. Lather helps the razor remove hairs while helping reduce the risk of skin irritation. Once you are ready to shave, you need to use the proper technique when passing the razor over your skin. Traditional double-edge razors are designed to glide lightly across the skin at an angle of roughly 30°; you do not need to apply pressure. Always shave in the direction of hair growth to minimize the risk of razor bumps. After shaving, apply an after-shave lotion to soothe the skin and reduce inflammation. Your after-shave lotion should contain essential oils, such as tea tree oil and jojoba oil, to reduce the risk of razor bumps and irritation.